Thought I would go for ride on this bright and beautiful morning. Unfortunately per the subject the XR is completely lifeless, checked the battery with a voltmeter and only 5.6 volts! Don't think an Optimate will recover that. I could call BMW assistance but the details specify that batteries are not covered. However, the bike is only 9 months and 3000 miles old and I would expect the battery to last far longer than that. Just wondering if anyone else had similar experience and if BMW done the decent thing or will I have to swallow the cost of a new battery? If so I might as well buy the battery and fit it myself rather than mess around getting it recovered. PS....the bike was last used just over a week ago and was absolutely fine. Re: Dead as a Dodo! Warranty coverage varies by country, over here the battery is covered for a year. You might also be covered, in that case recovery would also be covered. Why not call them and find out? Yes, I've given them a call and they are sending someone to have a look. We can argue the toss about warranty on the battery later. There is of course also the possibility that the battery has failed because of a fault with the charging system. Fortunately I've got a reliable 38 year old Japanese bike as back up LOL . Doesn't look like I'll be getting out today now though because I have to wait for them to get here. Bu66er! As expected the recovery service couldn't do anything and the bike has been taken away and will be delivered to my nearest dealer tomorrow. Hope it doesn't take too long for them to look at it as the weather forecast is good this week. Shame it took over 4 hours for the recovery service to get to me. Didn't affect me this time because I was at home but I would have been rather miffed had I been stranded by the side of the road somewhere. 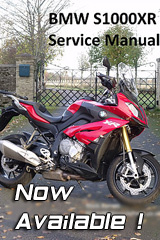 On the positive side BMW Assistance phoned me several times to update me on progress and apologise for the delay, and it was a proper bike recovery vehicle. I've heard some horror stories of low loaders turning up with no means of properly securing the bike. Was offered a hire car too (no bikes available) but declined. First time I've ever used a recovery service in over 40 years riding and driving! I have noted over the last few years in Cape Town, batteries usually die during the first cold spell. I had the same problem when the bike was only a few months old. It was not the battery at all but the master can bus controller was not shutting the bikes electrics down and there was a continual drain on the battery. Went into dealer and they connected bike up to the mothership in Germany but it took them several days to find the fault. New controller and a nice bit of combo from BMW and no problems since. If your dealer fobs you off contact AJ as they supervised the repair at Barry Robson York. It was an AJ bike but was recovered to BR as it was nearest. The bike is being delivered to the dealer today (the service dept. was closed yesterday). I'll give them a call later to see when they are going to look at it.